Enquiries at the long running Scottish clothier's stores for the £800 coat worn by the Twelfth Doctor have doubled in the last week! 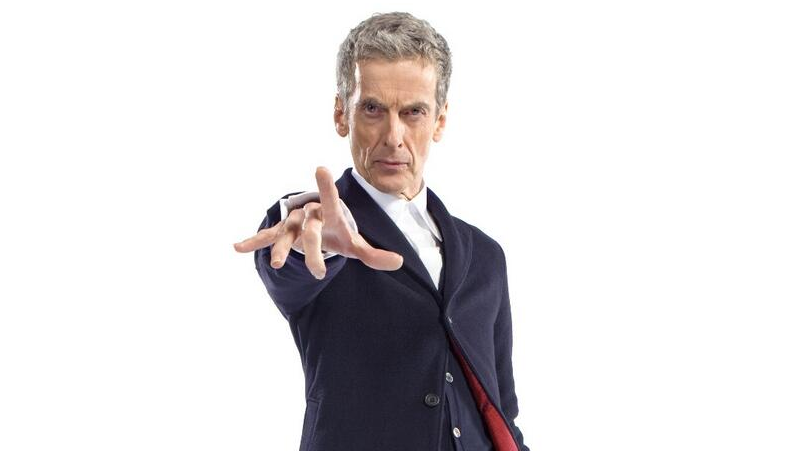 Whilst the company haven't revealed specific sales figures, customers have purportedly flocked to grab the retro navy coat revealed as The Doctor's new look last monday, which would set them back just under 800 pounds - or even more for a made-to-measure version that exactly matches Capaldi's shade of blue and Pertwee-esque red lining, up to a whopping three grand! Thankfully, the button up shirt and cardigan are a little cheaper to acquire for the fan on the budget - well perhaps not the cardigan, which is also from Crombie... and currently on sale for £125.